Many of my friends know that I’m an aspiring amateur photographer. While I’m currently of the school of thought “accuracy by volume,” I am working to get good enough to always take quality pictures the first shot (I still have a ways to go…). Part of getting better is experimenting and getting more equipment to help in my pursuit. The newest addition to my equipment inventory is a light tent (or light box) for taking cleanly lit close-up pictures of small to medium sized objects. I’ve been toying with the idea of buying one for a few years, but have been on a DIY kick for a while and decided to just go out and build one for myself. Part one of this post will cover the construction of the frame, while part 2 will cover the construction of the light diffusing fabric panels on the sides of the tent. A few years ago, I got the crazy idea that I wanted to work on a weather monitoring embedded microcontroller project. While the basic idea is not new, it is something that’s sufficiently complicated to become a great learning tool in various engineering disciplines. I caught wind of this TED talk while perusing the internet this evening. Very inspiring! I, one day, hope to allow my children (future tense, none expected or planned for the next few years) to have the unhindered freedom to think and do as their creativity inspires them as with this video about “Tinkering School” by Gever Tulley. Last night Lauren and I got to hang out at Aaron and Jenny’s place with Lance, Erin, and Kelly and we got a chance to play with AJ’s Galileoscope. 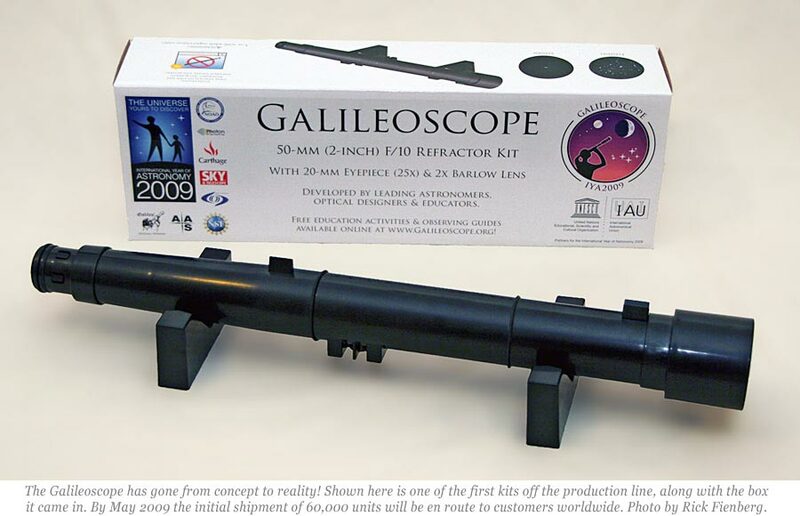 It’s a well-built plastic telescope with glass optics that was designed to be very similar (except for the plastic) to the one that Galileo designed and used for the first time 400 years ago this past August. The telescope was also designed as a way of commemorating the International Year of Astronomy which is a program to encourage people across the world to rediscover astronomy and the sciences. On top of being built to be quality and provide entry-level astronomers with an amazing view, it was also built to be very inexpensive and cost only $35 with shipping (to the USA, other locations cost more) and handling included. I’ve been toying with the idea of getting a scope of my own after seeing the amazing pictures that my co-worker Andy produces through his Newtonian reflector scopes, so playing with AJ’s made me really want to get one of the Gallileoscopes as a good first scope to learn with. Lauren was so taken with looking at the moon and trying to look at Jupiter (or was it Venus?… yes, I have lots of learning to do…) that she wanted to get a telescope as well. After seeing the quality of the scope first hand, we decided to order one this morning and it should get here in a few short weeks. We can’t wait!